The ‘European Convention on Human Rights’ (ECHR) is an international treaty that protects fundamental human rights and freedoms in Europe. The UK had signed this treaty and is currently a party to the ECHR. As a party to the ECHR, all public bodies in the UK are required to abide by the Convention articles. 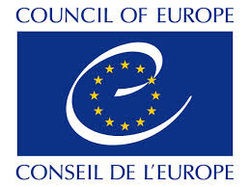 The ECHR also created the European Court of Human Rights (ECtHR). Any person who feels that his or her Convention rights have been violated by a Member State can take their case to this court. "WHAT IS PROTECTED BY THE ECHR?" The ECHR guarantees certain rights and prohibits certain acts. "HOW DOES THIS RELATE TO SEN?" Article 2, Protocol 1 of the ECHR is of particular importance to the area of SEN. It stipulates that no one should be denied the right to education and that the State should respect the right of parents to ensure that this education is aligned with their own religious and philosophical beliefs. This implies that public bodies in the UK – Local Authorities and schools – need to ensure that all children with SEN receive an effective education. Article 14 prohibits discrimination in the enjoyment of the rights and freedoms set forth in the ECHR. Thus, where a child is discriminated against and denied access to an effective education on the basis of their disability or SEN, they may be able to challenge the decision via this article. This information is meant to be helpful but Douglas Silas Solicitors cannot be responsible for any loss caused by reliance upon it. If you have concerns about your child, please seek professional educational/healthcare advice. Should you find anything which you believe to be inaccurate please Contact Us as soon as possible. ‘Douglas Silas Solicitors’ is the trading name of ‘Douglas Silas Solicitors Limited’, a limited company registered in England & Wales (company no: 10689991), whose registered office is Gable House, 239 Regents Park Road, Finchley, London, United Kingdom, N3 3LF. A list of members/directors may be inspected at our office.